While we believe that fitness is a fire service requirement regardless of status as volunteer or career, we know that volunteer firefighters can face even more challenges than their career counterparts when it comes to finding the time and resources to work out. But while the challenges may be daunting, the fact remains the same: Around half of all line of duty deaths annually are a result of health-related incidents. Many firefighters fail with their fitness regimens because they simply do not have a plan. The easiest way to establish a plan is to decide how many days a week you can realistically commit to exercise. Whether it is three, four, five, or even six days a week, make that commitment so that you can build a program around your schedule, then schedule it into your calendar like any other appointment. Firefighter Functional Fitness provides several examples of weekly workout programs to fit any schedule. Preview the first three chapters of the book! Whether you are on a duty crew or attending a weekly training session, your time spent at the fire station should be dedicated to training your mind and body, not sitting on the couch! There are many benefits to exercising at the fire station, especially as a volunteer firefighter. The most obvious benefit is that you will already be at the station and ready to respond when that call comes in (staffed houses arrive first! ), but you also have access to just about all the equipment you need for a good functional workout by simply using the tools and equipment found on your apparatus. There is no need to buy expensive gym memberships or spend thousands of dollars on special equipment. 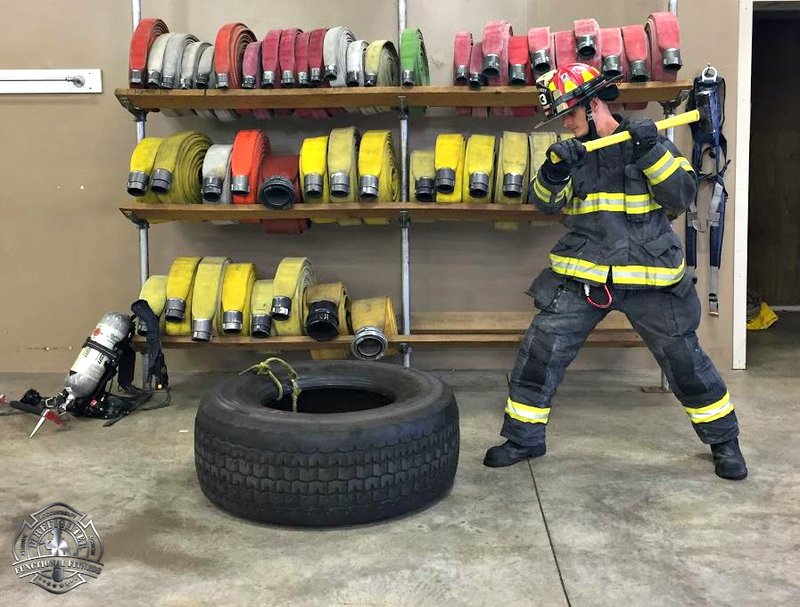 Using a combination of firefighting tools and equipment along with body weight exercises is a great way to train functionally, and it also increases your familiarity and proficiency with your equipment. Want more options? We recommend that you invest in some quality Russian kettlebells to provide even more functional exercise choices. At the end of the day, the most important aspect of firefighter fitness is your personal commitment. Whether volunteer or career, the risks are the same. The right personal attitude, accountability, and taking action will set you on the path to a long and healthy career in the fire service. 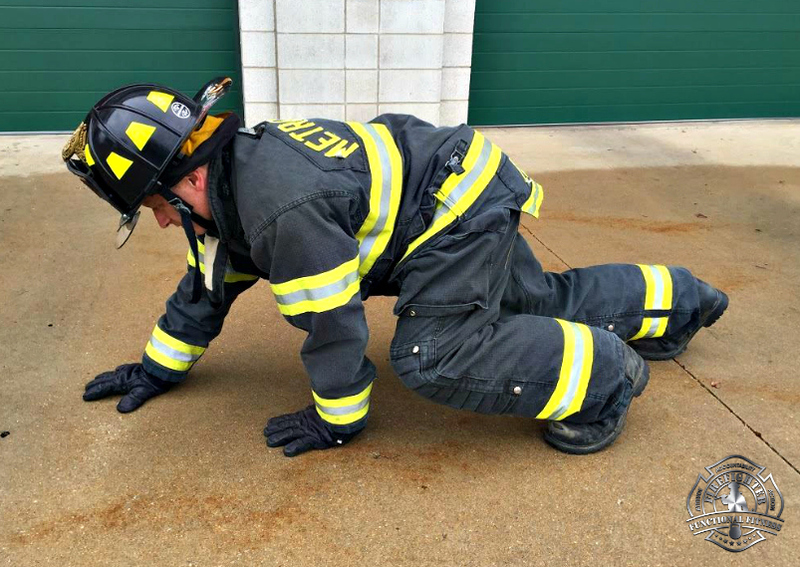 For more great firefighter health and fitness information for your department, check out the National Volunteer Fire Council’s Heart Healthy Firefighter Resources, and take your fitness and health to the next level with Firefighter Functional Fitness. Visit FirefighterFunctionalFitness.com to learn more. That last sentence from the first paragraph is one of the reason why I am came a holistic health coach nearly 4 years ago. Seeing that statistic at my dept’s annual OSHA refresher training year after year was unnerving to say the least.